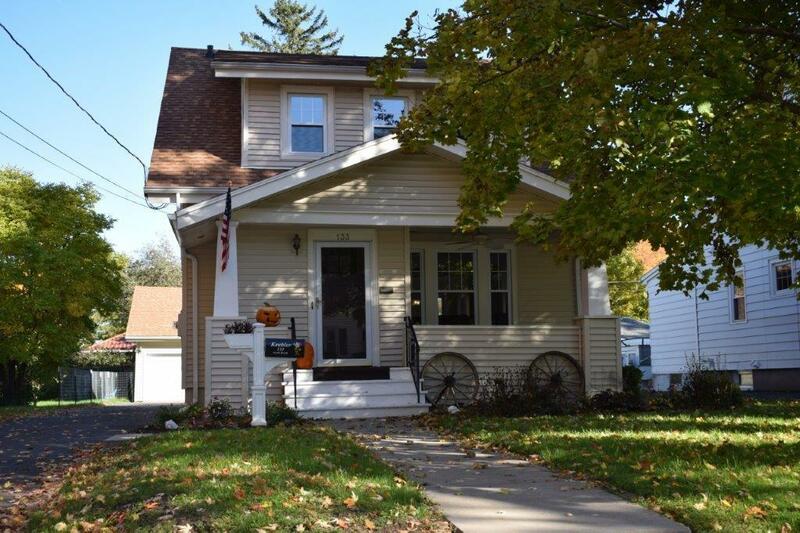 133 North Brook Street, Geneva, NY.| MLS# R1157705 | Coldwell Banker Finger Lakes | 315-789-6768 | Geneva NY Homes for Sale, FINGER LAKES PROPERTIES, Seneca Lake, Cayuga Lake, All of the Finger Lakes. NEW NEW NEW..... completely remodeled 3 bedroom, 2 bath home in the Castle heights neighborhood. Everything has been updated for modern convenience while retaining much of the charm of yesteryear including the cozy fireplace in the living room, built in cabinets and a window seat. Beautiful hardwood floors throughout. Cherry kitchen with solid surface counters, pantry and black stainless steel appliances. Formal dining room with sliding doors to the patio. New roof and windows. Conveniently located close to shopping, churches, schools and the hospital. Selling Office: Romeo Realty Group Inc.